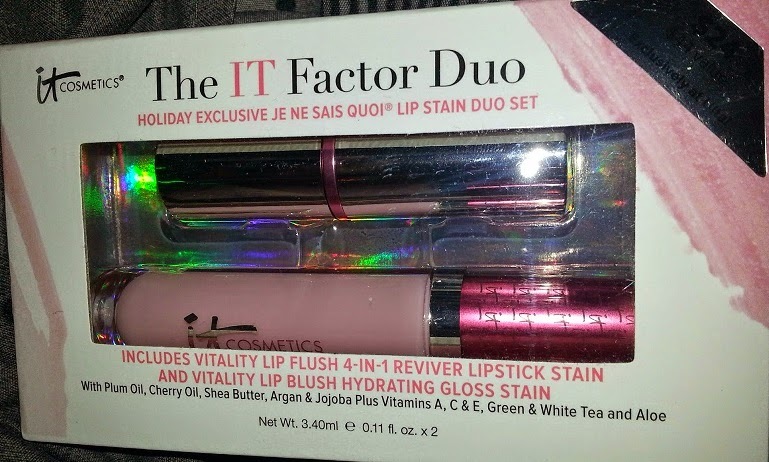 IT Cosmetics has this Holiday Exclusive Lip Stain Duo Set called "Je Ne Sais Quoi". I love to use this set when I have a no makeup kind of day because it gives my lips great moisture and a nice shine. I use the lipstick stain alone for everyday use. When I go out I like to use the hydrating gloss stain on top of the lipstick stain. 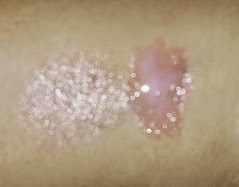 As you can see the colors are perfect for those that do not wear too much makeup and for those that love too. This not only looks good it feels really nice on the lips and the lipstick hydrates. I can say that you can really smell the cherry oil, it has a lot of other great oils such as plum, argan, jojoba. This also contains Vitamins A, C, & E, Green tea, White Tea, Aloe and Shea Butter. You can purchase this online or in stores in Ulta or Sephora. This is a great stocking stuffer or alone as a small gift.